Meet the L'l Headturners for Kids 4! 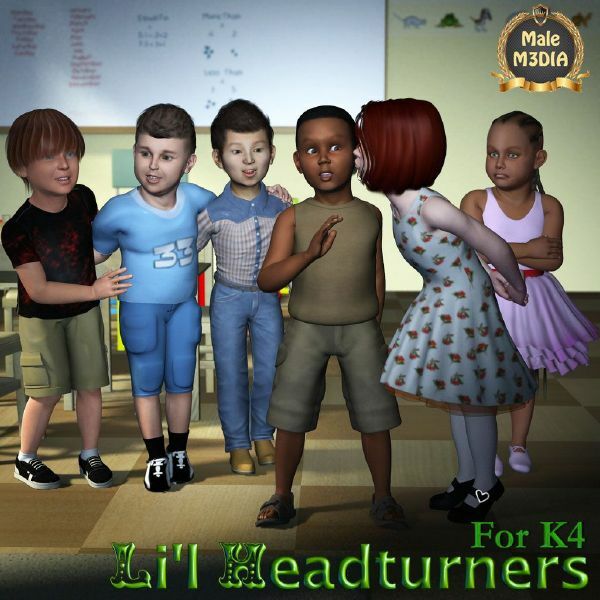 Headturners for Kids 4 for is a package of morphs consisting of 4 boys and two girls for use with your own textures. The heads and bodies are interchangable, so you have many options. NOTE: This product contains MORPHS ONLY, no textures are included in this pack.